Sewer problems can feel like a homeowners’ worst nightmare. After all, you have no choice but to fix it, no matter how expensive it is. Otherwise, you can end up with sewage in your home and so much damage. Homeowners also fear sewer problems because they don’t know how to tell if they have one. They worry that the first sign of an issue will be sewage backflowing into their homes. However, there are several signs that you can look for that indicate a sewer issue. Pick up on these and you can repair the problem before it causes further damage. You smell rotten eggs. Your sewer should be working to keep bad sewage smells out of your home. If it’s not, this indicates a problem somewhere in the line. We can help you find the problem and remove it so you don’t have to smell these things anymore. Wet spots in your lawn. 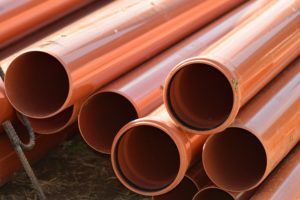 Since your sewer line likely runs under your yard, one sign of escaping sewage is unexplained dampness in the yard. If you haven’t had rain and you haven’t run your sprinklers but your lawn is muddy and we, give us a call and we’ll look at your sewer. Overgrown places in your yard. If you care for your yard regularly and there’s overgrowth in a particular area, this can indicate a sewer leak. Sewage is great for plant growth, so plants near the leak will grow faster than others. Call Larry & Sons for a sewer inspection today. We’ll get everything flowing well again soon!